This is a blend of chipped and shredded wood product that has a brown tone and fragrant aroma. 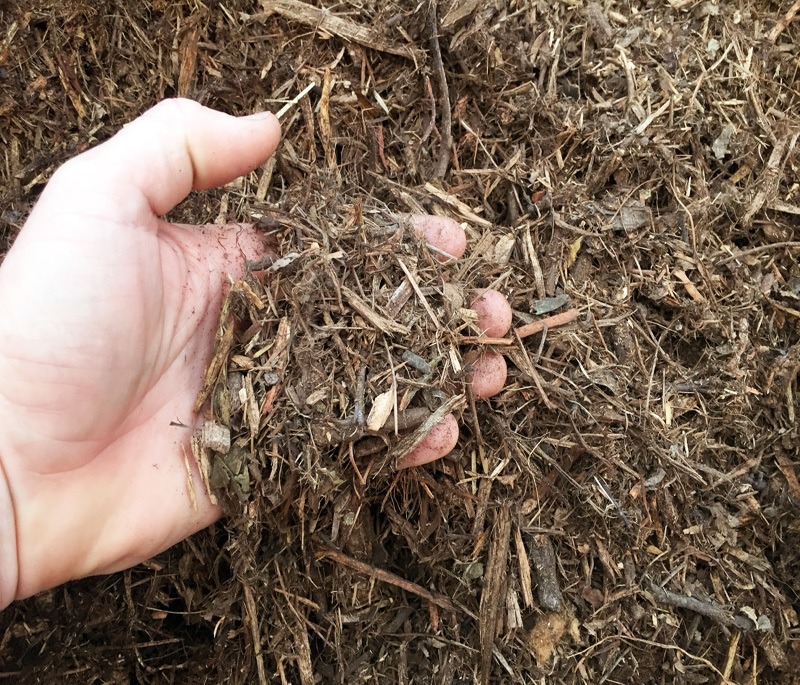 2″ Mulch is very economical in price and highly functional. This is a great product for suppressing weed growth, keeping moisture in your soil, and adding valuable nutrients as it breaks down. Check out that price!